Published May 12, 2013 at 3872 × 2592 in Bay. 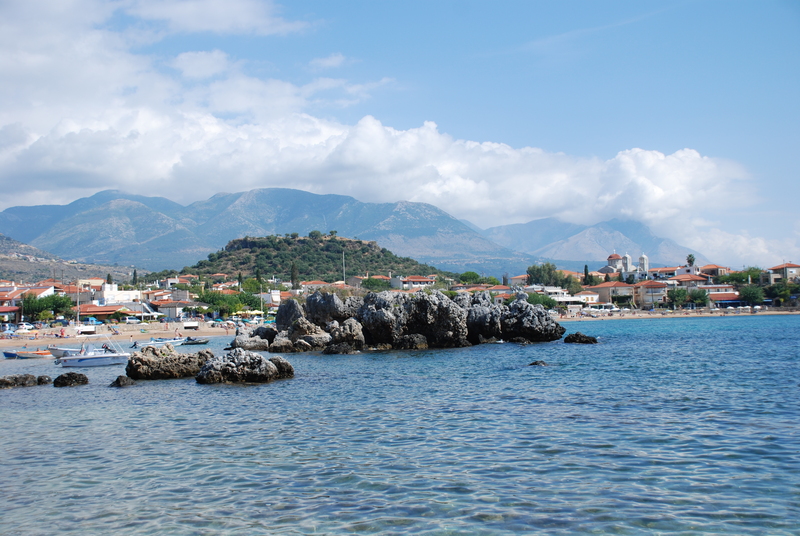 Stoupa’s main bay with the Taygetos mountains behind. The new church is next to its predecessor.